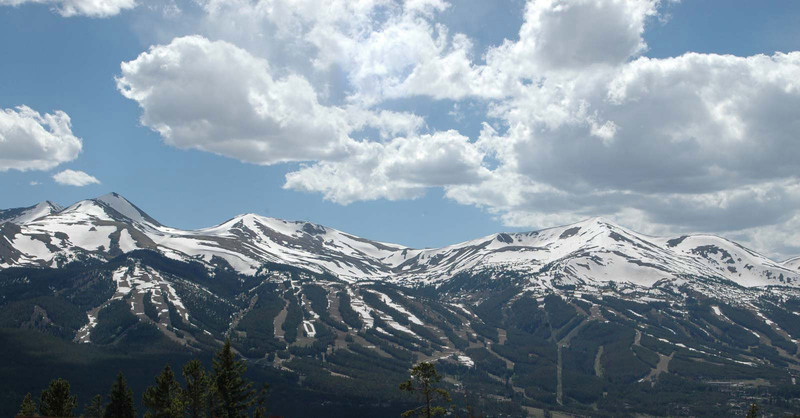 Juniata homes for sale are situated on a promontory above the town of Breckenridge on the east side of the Blue River valley, at an elevation of approximately 10,500 feet, where the views are spectacular. Privacy is perfected by big lots and smart planning, and access to trails well designed. It is only a few minutes by car from this spectacular privacy to the town of Breckenridge and the ski resort. 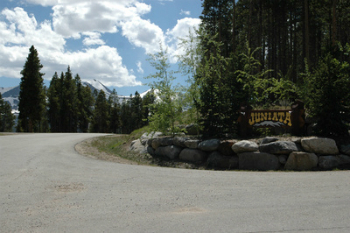 Juniata is a high-end neighborhood in Breckenridge carved from more than 80 acres, with less than a couple of dozen homes. The Juniata trail was planned and constructed in the initial phases to give a forested route to the trails on Baldy Mountain and a walking path down to town, which is only 1.5 miles. From the quiet of Juniata, Main Street seems a lot farther than it is. Learn more about the spectacular views found in area, or browse the Juniata real estate listings below. Juniata real estate consists of custom built homes constructed with high-quality ingredients, and good design standards. Natural gas is available in the subdivision, and so is everything you’d find in town, although Juniata doesn’t lie within its boundaries. Instead of town water and sewer (and taxes), every Juniata home for sale will have a well and septic system. Because of the large lots, the soil quality and the high standards raised by the state and county, these systems are environmentally sound. Juniata residents enjoy the sweetness and clarity of their well water. Views from Juniata are some of the best in the Breckenridge area. Because the land drops steeply away from the subdivision, the views are unobstructed toward the Tenmile Range to the west, and to the south or north depending on lot location. Baldy Mountain is a commanding presence rising up quickly on the east. The view of the sun riseing behind the stunning Baldy mountain has to be seen to be believed. Cross-country ski, snowshoe, hike or bike out your door from any Juniata home. Sq. Ft. Living Area: duplex: 2524 sq. ft, and 4006 sq. ft.single family: 3092 sq. ft. to 7080 sq. ft. Located at an altitude of more than 10,000 feet, on the east side of Breckenridge, Juniata homes for sale look out at the sunsets over the Tenmile Range and Breckenridge Ski Resort. Drive to Baldy Mountain Road, either from Boreas Pass Road or through Breck Heights (Wellington to Royal Tiger, Moonstone, Boreas) and continue northeast on Baldy Mountain Road for about three-quarters of a mile to Juniata Circle. Are you ready to explore your real estate options in Juniata, or any other Breckenridge subdivision? Contact us online or give us a call at (970) 453-2200.